Temporary guardianship and Temporary custody to most people mean the same when it concerns a minor child. However, from a legal standpoint a “Temporary Guardianship Form” is given by a court procedure and the guardian needs to be appointed by the court as well. Parents who use a document named temporary guardianship form to give short-term guardianship to another adult are using an incorrectly titled document. In addition, a wrongly titled document may be refused if the short-term guardian tries to enroll a child in school. You can access a Free Temporary Guardianship Form for all states now. Although there is both short-term and temporary guardianship, a short-term guardianship is more common. As a parent of a minor child there will likely be situations where you will need or want another adult to take care of your minor child for a short period of time. In such situations most parents use a short-term guardianship form and or a caregiver’s affidavit. Generally, but not always, these types of forms do not have to go through the courts. A temporary guardianship time frame will typically be in effect from 1-12 months. It might be lengthened for the advantage of both parent(s) and the children. Appointing a short-term guardian yourself. The correct name for this document should be “Appointment of Short-Term Guardian for Minor Child(ren).” Ideally this form should also include a durable healthcare power of attorney and caregiver’s affidavit. This document is used for an informal short-term guardianship, one that does not need to be approved by the court. The time for short-term custody will vary from state-to-state. You can purchase an inexpensive, attorney-drafted short-term guardianship form at: Temporary Guardianship Form for Minor Children that is designed for parents to authorize another adult to have short-term guardianship of their minor child or children without having to go through the court. As an example, a caregiver in California is a spouse, relative, stepparent, brother, sister, stepbrother, stepsister, half brother, half sister, uncle, aunt, niece, nephew, first cousin, or any other person noted by the prefix “grand” or “great,” and they will have the right to approve medical care and dental care. Although some states may only require a caregiver’s affidavit, it seems sensible to have the added short-term temporary custody form with durable healthcare power of attorney to avoid possible obstacles when enrolling the child in school or other circumstances. Desire of parents to name short-term guardian if court-appointment is necessary. The document will also qualify as caregiver authorization affidavit under applicable law. Ability to make emergency and non-emergency healthcare decisions under law. Detailed travel limits if any. General information about the health history of the child(ren). Probate Courts have authority over guardianship. A legal guardianship takes place when a judge makes a formal decision granting the guardianship of a child to someone other than the parent(s). Often the person who takes over legal guardianship is a close relative or friend. Although requirements may vary state to state, generally one must be at least 18 years old to become a legal guardian. A petition will need to be completed and filed with the county clerk’s office. After filing the petition, the clerk will assign the guardian a case number for an upcoming court hearing about the guardianship. When the court date arrives the judge will review all forms and likely ask the prospective guardian questions. The judge will almost always be looking out for the best interests of the child. The judge will also listen to wishes of the child when making their decision. The older the child the more heavily they will consider the request of the child in making a final decision for legal guardianship. When accepted by the judge and filed the legal guardianship will be establish. When selected as guardian, the court you will give that person a certified copy of the legal guardianship forms. It is standard for a criminal background check to be done on the individual who will be chosen legal guardian. When an individual is given legal or temporary guardianship by the court they are taking on important obligations. The appointed guardian has responsibility not only for the everyday care of the child, but also for the child’s schooling, health care, and financial support. This information should not be considered legal advice in any way. 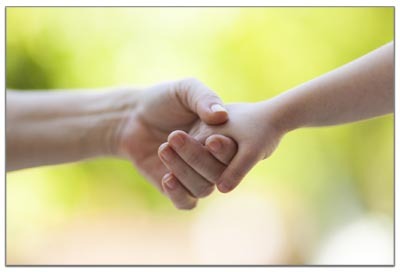 If you have any questions about legal guardianship you should get the advice of a family law attorney in your state. Laws can and do change. Just click on the state you live in and it will take you to the court where you can access free temporary guardianship forms, petitions, and other family law documents. In some cases you may have to visit or call your local courthouse for further information. However, there is an enormous amount of free information and free forms that can be access and downloaded online. If you need a short-term guardianship form you can authorize yourself as opposed to a temporary guardianship form issued by the courts, click this link http://www.urgentbusinessforms.com/guardianship_form.asp otherwise court ordered forms can be accessed from the links below.